Benchmark s Washington Road & Recreation Atlas is the one guide needed to explore every corner of the Evergreen State. Field-checked Landscape MapsTM show complete road detail, classed by use and surface, and the updated Recreation Guide has several recreation categories organized by region including the following: Wilderness, Forest Service, State parks, State Lands, Bureau of Reclamation, Military lands, BLM, Tribal lands, National parks and monuments, Wilderness areas and State game management units. National Geographic's Washington Guide Map is designed to meet the needs of travelers with detailed and accurate cartography and loads of helpful information about the state's many attractions. Cities and towns are clearly indicated and easy to find in the user-friendly index. A complete road network of highways, tollways, and other roads, along with distances noted in miles for major highways, will help you find the route that's right for you. National and state parks, public campsites, visitor information centers, airports, ski areas, ports of entry, and more are shown. 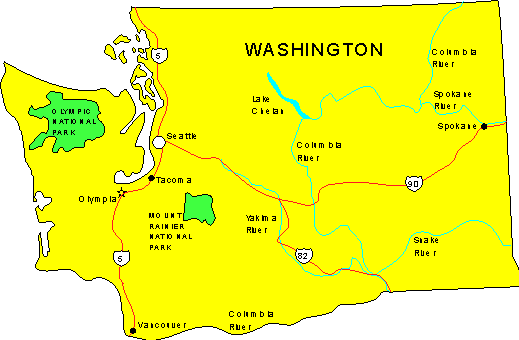 Inset maps of Olympia, Yakima, Spokane, and Seattle provide greater detail of these urban centers. 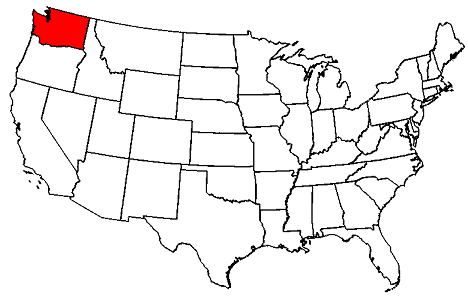 Olympic, Mount Rainier, and North Cascades national parks, and Mount Adams Scenic Drive are highlighted with maps and additional information to help visitors take advantage of the many sites and recreation activities available in these regions. A handy chart of park service sites and climate information are also included. 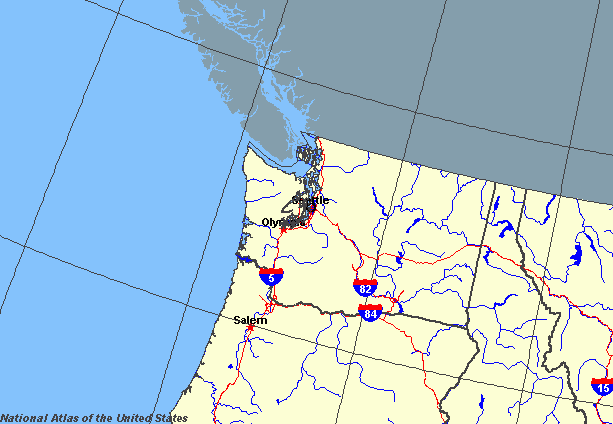 Whether your travels in Washington bring you to its cities or its most remote wilderness areas, you'll find this map to be an invaluable tool for exploring all the state has to offer. Rand McNally's Easy To Read State Folded Map is a must-have for anyone traveling in and around Washington, offering unbeatable accuracy and reliability at a great price. Our trusted cartography shows all Interstate, U.S., state, and county highways, along with clearly indicated parks, points of interest, airports, county boundaries, and streets. Dimensions (unfolded): 28" x 40". 1 inch = 8.7 miles. The durable and convenient Washington EasyToFold state map will take all the wear and tear your journey can dish out. The heavy-duty laminated design allows you to mark your route, make notes, then wipe the surface clean for further use. This is a must-have for navigation whether you're a state resident or just passing through.